Gold prices held steady on Monday, near a seven-month peak scaled in previous session, on hopes the US Federal Reserve will keep interest rates unchanged during its two-day policy meeting later in the week. Spot gold was firm at $1,302.58 per ounce by 0308 GMT, while US gold futures climbed 0.3 per cent to $1,301.90 per ounce. The Federal Open Market Committee meets between Jan. 29 and Jan. 30, and Chairman Jerome Powell is widely expected to acknowledge growing risks to the US economy as global momentum weakens. 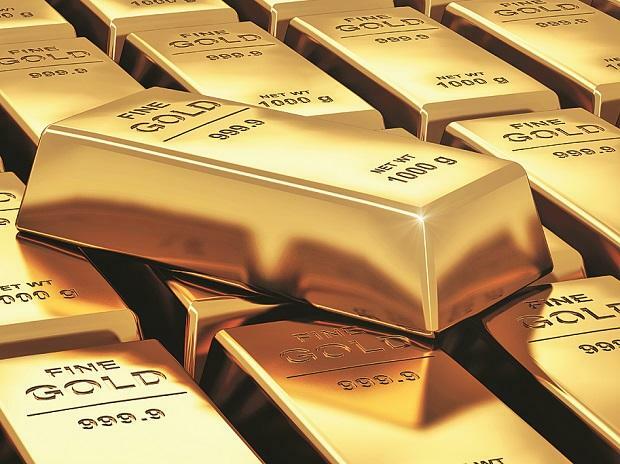 "Gold is having a very positive macro stance in the sense the US Fed is going to be more accommodative along with the European Central Bank, which is seeing downside risks to the economy," said Edward Moya, market analyst at OANDA. Meanwhile, Asian stocks advanced on Monday as Wall Street rallied after a deal was announced to reopen the US government following a prolonged shutdown that had shaken investor sentiment. Spot gold rose 1.8 per cent on per cent, notching up its best one-day percentage gain since Oct. 11, hitting its highest since June 14, 2018. The metal also broke above the psychological level of $1,300 after failing multiple times due to strong technical resistance. Silver was firm at $15.76 per ounce, while platinum rose 0.3 per cent to $816.